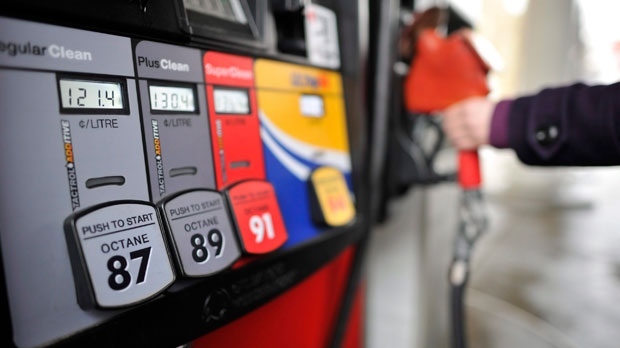 Today, the Residential and Civil Construction Alliance of Ontario (RCCAO) published an independent research study called “Increasing Provincial Fuel Taxes” by Harry Kitchen, Professor Emeritus from the Department of Economics at Trent University. The report, which was published today, raises some important points and adequately proves why increasing fuel taxes is the easiest and most beneficial tax to raise in order to balance Ontario’s 2017-18 provincial budget. The study makes numerous recommendations on how to do go about raising fuel taxes, including planning for the introduction of some form of road pricing within major metropolitan areas and heavily populated regions. As the report clarifies, compared to fuel taxes or other revenue sources, road and parking pricing would effectively manage congestion, improve productivity, and generate funds for urban roads and public transit. The tax increase could generate additional provincial revenues of around $14 billion over the next seven years – revenues which Professor Kitchen adds, should be dedicated to transportation improvements across Ontario. Earmarking the revenues, he further suggests, can prevent the political abuse of funds as it increases accountability and transparency. Most importantly, it boosts public support because people know where their taxes are being spent. Although the increase in fuel taxes may cause some controversy, those against the suggestion can be ensured that the increase is most certainly not a long term solution. As the need for dedicated transit funding becomes crucial, it is evident as to why increasing fuel taxes may just be a critical step to unlocking the gridlock. With 28 street cars pulled out of service Tuesday afternoon and Wednesday morning due to extreme cold a question many should be asking, is what will happen as global warming causes more extreme weather conditions for Toronto? Ice storms and snow storms also play havoc with above ground transit. The T.T.C. has announced they’ll have busses runnng to fill in where they can -502 Dowtown, 503 Kingston Road & 511 Bathurst – check transit app to get updated times. Major cities around the world invest in underground transit. With the extreme weather predicted for Toronto’s long-term future, it makes the larger investment today all the more reasonable. Toronto must begin to look at transit planning through a bigger lens than merely cost. The last time Toronto’s subway shut down fully was during the July 2013 flood when all major highways and transit in the city was shut down for a few hours at the height of the flood. The subway system has proven over the years to be the most reliable system through the winter months, but we have to invest in it. It is an aging system in need of significant upgrades and investment, and remarkably small system given the growth of Toronto ove the past two decades. The downtown relief line running under Queen Street and joining up with Eglinton Street at either end is still the most important subway line that Toronto needs to build. Unfortunately political maneuvering continues to stall it’s progress. With so few politicians willing to stand up for the dedicated transit that is needed to fund such a project. While Mayor Tory announced his Smart Track as an alternative for the downtown relief line, the truth is that it too will suffer from the increasing extreme weather conditions (primarily winter conditions) that Toronto is expecting over the next few decades. And while his Tax Increment Financing (TIF) may have seemed the perfect solution to transit funding during the election, it was merely a strategy for borrowing and it does not actually raise funding, but merely works as security for a loan. And unfortunately it will leave future generations forced to pay it back. Personally I believe Mayor Tory knows that Tax Increment Financing is nothing more than a strategic campaign platform, it is not a funding tool but a financing strategy that has worked on small projects across North America. He still has a lot more work to do when it comes to supporting the basket of revenue tools – increase in development fees, parking levies, sales taxes or tolls – that he has advocated for over the years. But for some reason, with Tory at the helm, I can imagine a time when Toronto decides to invest in itself, when revenue tools have been put in place to generate funds that we can invest into our transit system. Add in a Federal transit funding strategy to the provincial and municipal funds and then our City will have a real choice – invest in below ground subway or cheaper above ground rail that continually shuts down during extreme weather conditions? If the funding is there Toronto will build subways because they are a better long-term investment. It’s time for Mayor Tory to get started on securing the dedicated transit funding tools that he’s advocated for over the past few years. He’ll need all the help he can get, and each one of us can play a part in convincing our neighbours to support dedicated transit funding. A courageous man once said “If anyone tells you that Toronto does not need revenue tools for transit, they aren’t being honest.” It’s time again for that man to show courage.